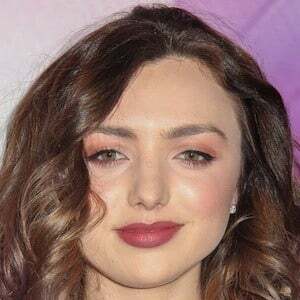 American actress who rose to fame for her role as Emma Ross on the Disney Channel series Jessie. She also appeared in the films 27 Dresses and Remember Me and in two installments of the Diary of a Wimpy Kid franchise. She earned her first acting role when she was four in an episode of the soap opera As the World Turns, where she was credited as Little Girl in Diner. She played a Young Becky in The Sorcerer's Apprentice in 2010. She was born to Suzanne and John List. She has a twin brother named Spencer as well as a younger brother named Phoenix, whom she moved to New York with when she was four. In 2012, she made a guest appearance as Emma Ross on the Disney series Austin and Ally, which starred Ross Lynch.